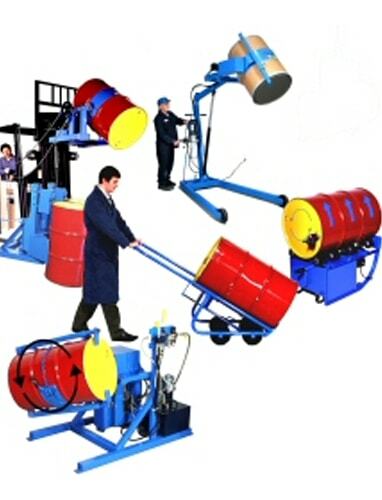 Allows controlled tipping of standard 30 and 55gal metal drums With rolling ribs.SL 10 & SL 15 only. Gives a flat, level surface to make heavy objective Easier to load and unload. Allows the standard forks to be extended by 760mm. Safely holds pipes work up t760mm in place. Turns the unit into a vertical crane or hoist. Adjustable from 460-1070mm. Specially made to load, unload and standard 30 and 55 gal ribbed drums.SL 10 & SL 15 only.